I have to say that my curiosity was piqued with this product review. After seeing this beautiful dog, Duke, we determined that he would be a good candidate for a DNA test. Both his adopted owner and the shelter where he was acquired believed that he could possibly be a pure Polish Treeing Coonhound. That's not a dog I was familiar with, although I assumed it would be similar to a Treeing Walker Coonhound, and clearly there are similarities. This big fella, Duke, is a handsome one for sure. His owner's desire to learn Duke's heritage was pure. He wanted to know what health issues to watch out for, behavioral normalities as well as idiosyncrasies. And of course, he wanted to know if Duke's weight and build were normal for his breed, if indeed he were determined to be a pure breed. With the Wisdom Panel in hand, Duke's dad took off to test this big boy and report back. I was eager to hear about the process and the results. The test proved easy to administer with a few swabs inside the cheek--nothing most dogs wouldn't accommodate from a loving owner. Within a couple of weeks or so the results were returned with a more than thorough report on Duke's heritage, his outlook, health prospects and more. There's even a status checker on the Wisdom Panel website so you can see when to anticipate your results. More importantly, Duke's owner gained a better understanding of potential health issues and a good weight range for his dog. That was his goal and we accomplished it with Wisdom Panel. You can also read up on dog breeds at Wisdom Panel's Breed Library. Got questions? Check in with the folks at Wisdom Panel and chat on Twitter with @WisdomPanel or on Facebook at DoggieDNA. I'll be running a giveaway soon for a kit just like this one from Wisdom Panel 2.0 for one lucky winner to learn more about the heritage of their dog. Of course you don't have to wait if the suspense is just killing you. Go right on ahead over to their website and order your kit right now. It's a painless test and soon you'll have a better understanding of what's normal for your dog. 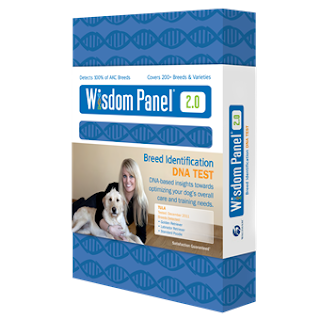 The sample Wisdom Panel kit used for this review was provided to me at no cost. It was used to evaluate an acquaintance's dog, as a way of reviewing it's use. I was not compensated and our story above is shared for your education about this product without any affect on my opinion. 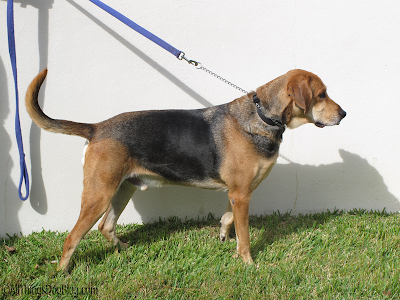 I only need tow breeds, I see Labrador Retriever and American Foxhound. I'm a hound person at heart, and definitely see hound in this one. Could be a Treeing Walker and Black and Tan Coonhound cross, or one or both of those breeds with some Lab in them. Perhaps even a little Shepherd? I had a Beagle/Shepherd mix that had similar coloring, but had longer fur. Beautiful dog whatever the mix. I did a Wisdom Panel on my girl. It was fun, and I was pretty impressed with the results. Very educational video. I definitely see a hound. Black and Tan Coonhound sounds right. Perhaps part Labrador too. If I still had Sephi, I'd be entering the contest for that kit. Pierson is a mixed breed, but his breed mix is pretty simple to guess. I won't be entering the contest, but I can't wait to see the results for Duke and for whoever wins the DNA test.